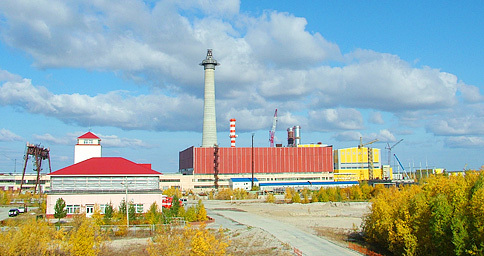 The engineers of INTER RAU UES commissioned a combined cycle power unit PGU-450 at the Urengoyskaya SDPP, which resulted in raising the installed capacity of the power plant from 24 to 474 Mwt. The units allows to partially resolve the problem of energy deficit in the north of Tyumen region. PGU-450 combines steam and gas turbine parts, united by the common technology cycle, and it complies with the newest standards of energy efficiency and environmental safety. This solution made it possible to raise the efficiency coefficient by obtaining additional electrical and thermal energy. The efficiency coefficient of the energy unit itself comprises 52.5%, which allows saving 20-25% of fuel compared to the standard gas turbine units, the efficiency coefficient of which is 35-45%.